The original visual timer that shows exactly how much time is left. 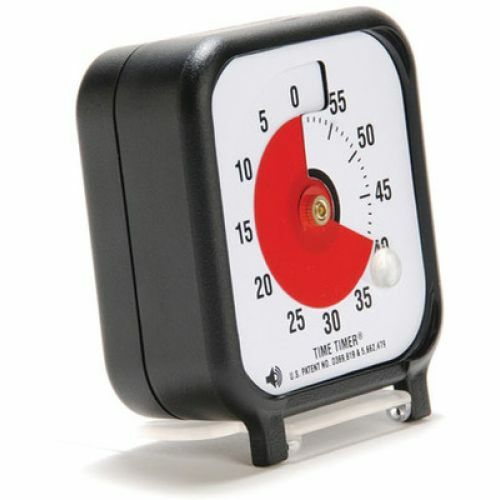 Our patented red disk disappears as time elapses, ideal for teaching children the concept of elapsed time as well as managing the stress of transitions by showing “how much longer”. A great way to ease testing anxiety as students are able to see at a glance how much time is left. Optional audible signal when time is up. All timers are free-standing. The 8" and 12" models can also be wall-mounted. Requires 1 “AA” battery, not included.